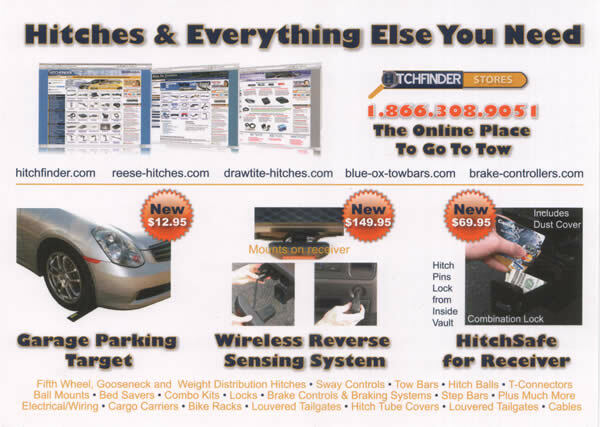 the above image is from a print advertisement i designed for hitchfinder.com. it is an insert that was included with the invoice with each of the shipments from the warehouse. 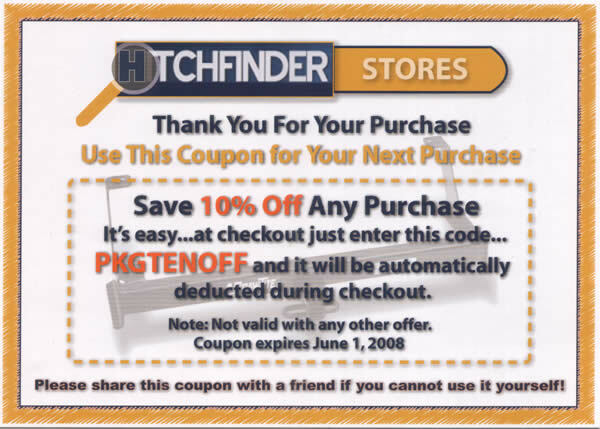 the logo for the "hitchfinder stores" is a logo i created and the company adopted for special use, like in this advertisement. the front is a discount coupon for use in the next purchase. 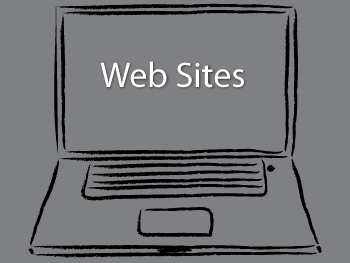 the back side features some new products for the company, the contact phone number and five of their web site addresses. note: the company has since been sold and pieced out, so the logo is no longer being used.